Ven. 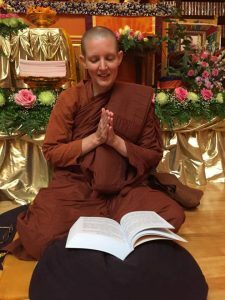 Ayya Tathaaloka will be joining the Dhamma Tuesdays program at Wat Buddhanusorn to speak on the meaning of Vesaka and answer questions about it, as well as offer open forum for other Dhamma questions. All welcome! The evening will include a short period of Pali & English chanting followed by meditation, and then a good time of Dhamma discussion. Monthly session will be held every Tuesdays. Learn and practice the teachings of the Buddha.